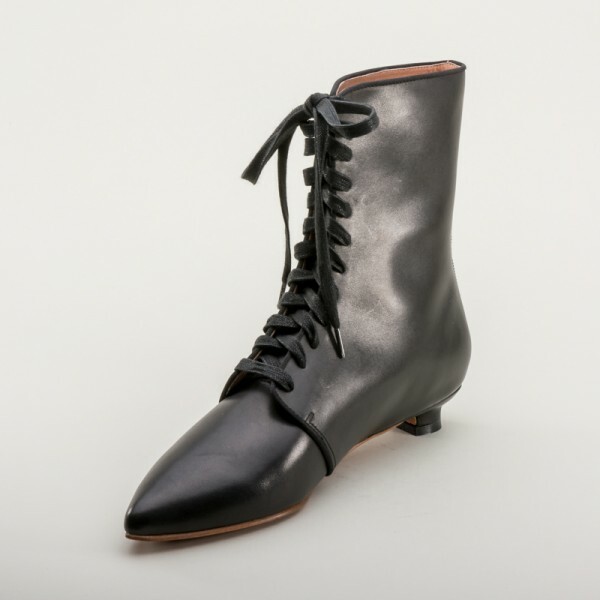 Mansfield Regency Boots are a beautiful, sturdy, yet elegant riding boot to complete your Regency outfit. 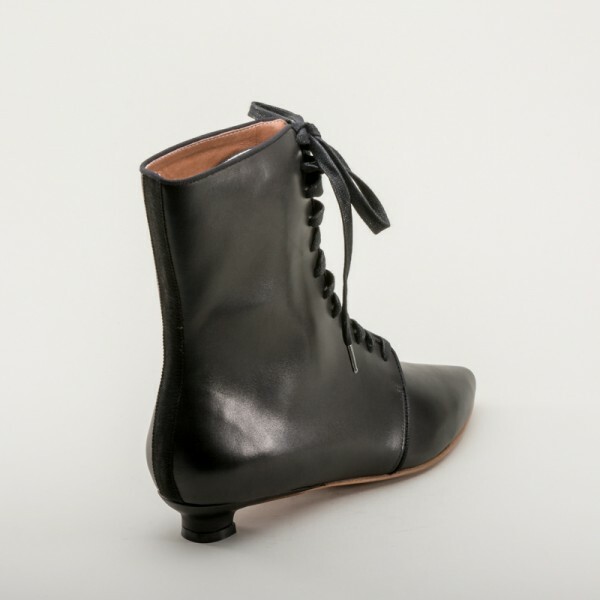 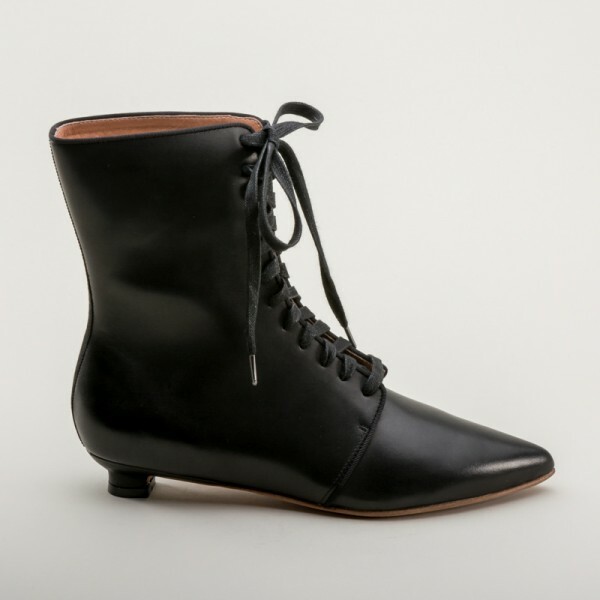 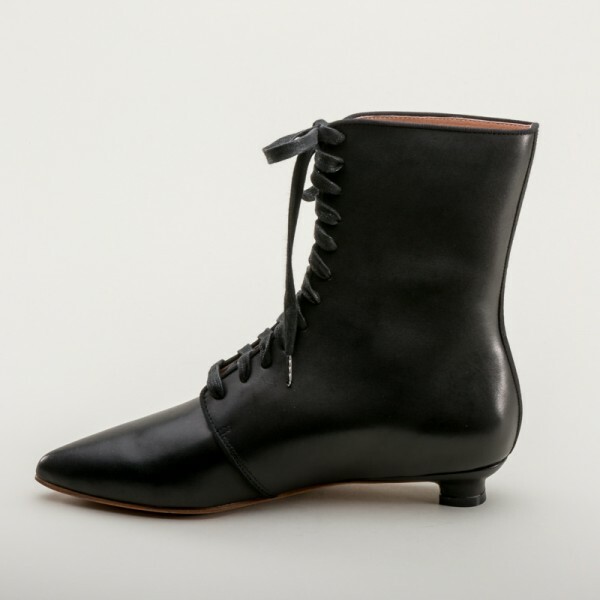 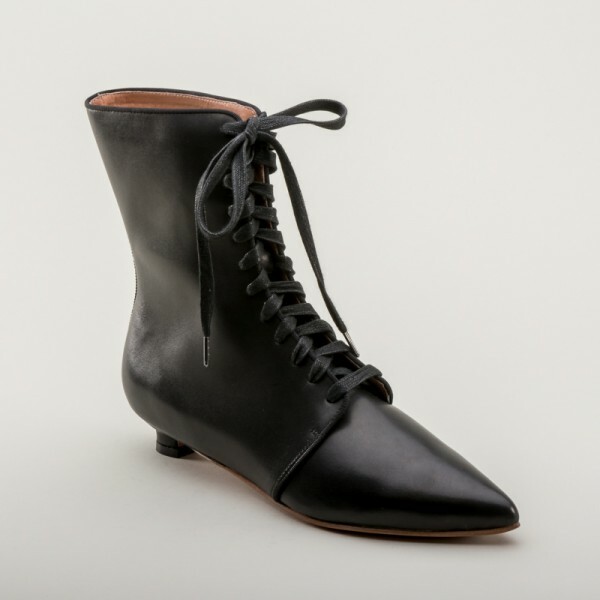 Sport these amazing boots for Jane Austen Festival, French Revolution, Directoire, and early Regency events, for all-day comfort, paired with the perfect silhouette. 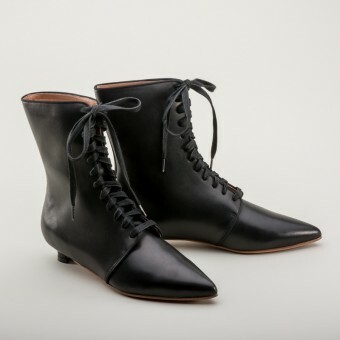 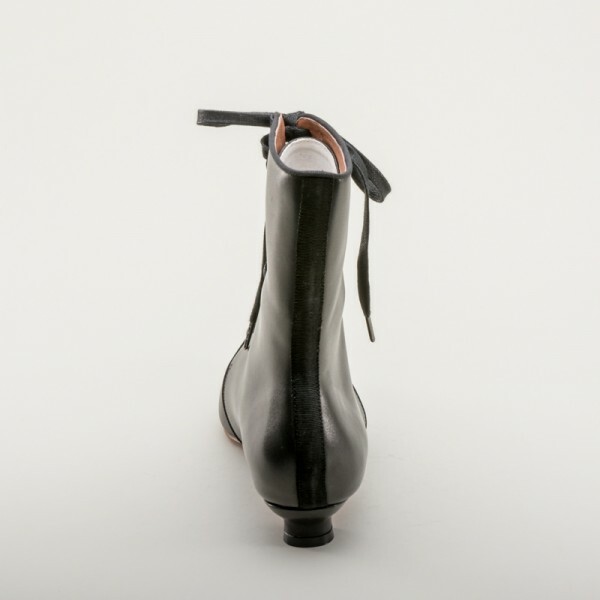 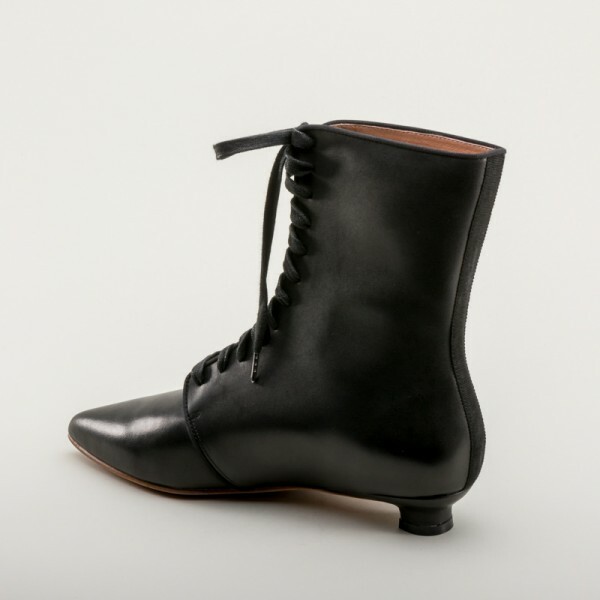 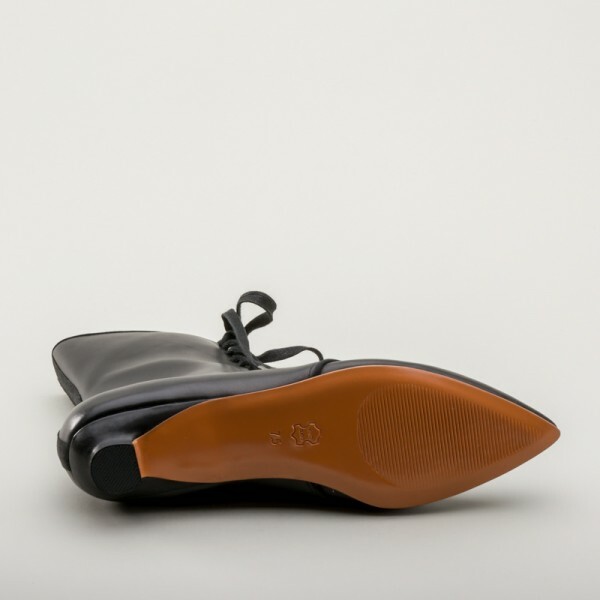 Designed directly from original late 18th century riding boots from 1790-1800, Mansfield boots in black are one of a kind, true reproductions with a sharply pointed toe, short 1 in / 2.5 cm Italian heel, grosgrain edge binding and back strap, and adjustable lace-up closure.